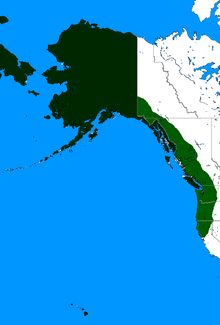 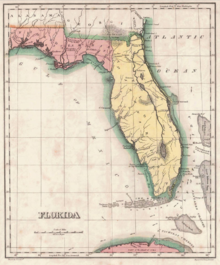 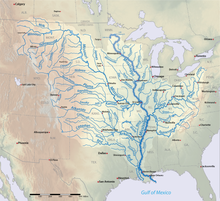 The Adams–Onís Treaty (Spanish: Tratado de Adams-Onís) of 1819, also known as the Transcontinental Treaty, the Florida Purchase Treaty, or the Florida Treaty, was a treaty between the United States and Spain in 1819 that ceded Florida to the U.S. and defined the boundary between the U.S. and New Spain. 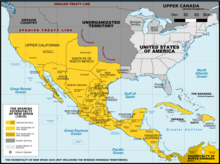 It settled a standing border dispute between the two countries and was considered a triumph of American diplomacy. 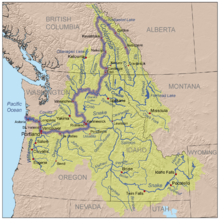 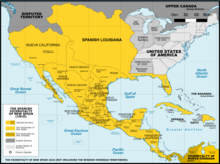 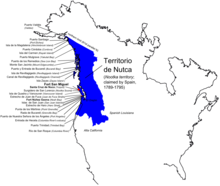 It came in the midst of increasing tensions related to Spain's territorial boundaries in North America against the United States and Great Britain in the aftermath of the American Revolution; it also came during the Latin American wars of independence. 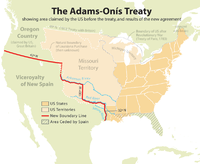 The Adams–Onis Treaty was negotiated by John Quincy Adams, the Secretary of State under U.S. President James Monroe, and the Spanish "minister plenipotentiary" (diplomatic envoy) Luis de Onís y González-Vara, during the reign of King Ferdinand VII.